The Panache mirror by Petite Friture is an eye-catcher on every wall. The mirror was designed by Constance Guisset and is characterized by its playful design. The shape of the mirror reminds schematically of a head while the tassels look like earrings. Depending on the furnishing style and taste, the tassels can easily be exchanged, so that the mirror can always appear with new colour accents. Hanging classically in the bathroom, bedroom or hallway, the extravagantly shaped mirror provides a decorative eye-catcher on the wall. Panache mirror in small by Petite Friture in single view. The Panache mirror by Constance Guisset for Petite Friture is an eye-catcher on every wall. 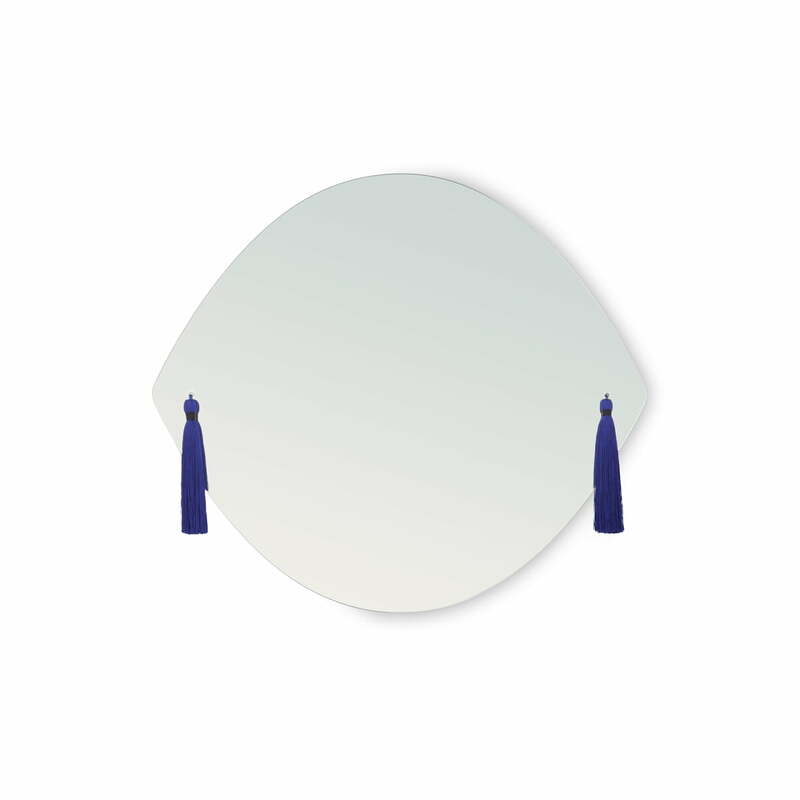 The shape of the mirror reminds schematically of a head while the tassels look like earrings.